Culver City, CA has been a center for motion pictures and television for decades and is now home to the MGM and NFL Network studios. The film and television industry brings many businesses large and small to the area which has caused the population to grow. In the 1990’s the downtown area of Culver City was revitalized and renovated to include many states of the art shopping centers as well as gastropubs, restaurants, and a thriving art scene. The excitement of the city and the opportunity for growth attracts people and caused a huge residential development boom. A larger population means more HOA, apartments and multiple-family homes and for the owners of these properties, maintenance and upkeep is a huge priority. Many people experience challenges with HOA roofing so it is a good idea to find a reliable and experienced contractor to help keep the roofing for your buildings up to code and looking their best. Always make sure the roofing company you hire for your HOA projects is licensed and insured. Ask them to provide all paperwork up front before discussing the job. There are a number of companies that are not licensed but stay in business because they offer cheaper prices. In these circumstances, you get what you pay for and in the long term, an unlicensed company will cost you more. Roofing contractors all offer different designs and styles and some are limited in the choices they can work with. If you have a particular design and material in mind look for a contractor that has experience with those. We are experienced in many styles and materials for roofing projects so guarantee we can provide what you need with high quality. It is important to have a roofing company that understands the materials they are working with and is experienced with installation and repair for all the different styles of HOA roofing out there. Before you allow any work to be done, be sure to get everything in writing. You want to have a signed contract or agreement with the roofing company you choose. This protects you in the event they do not follow through or if what you agreed to is not delivered. There are cases where companies cut corners and having a contract allows you to show evidence in court of a failure to comply. The last thing you want is unexpected damages or charges, so get the details of the project written out and agreed to first. We have the experience, knowledge, and tools to get any HOA roofing job done that you may have. 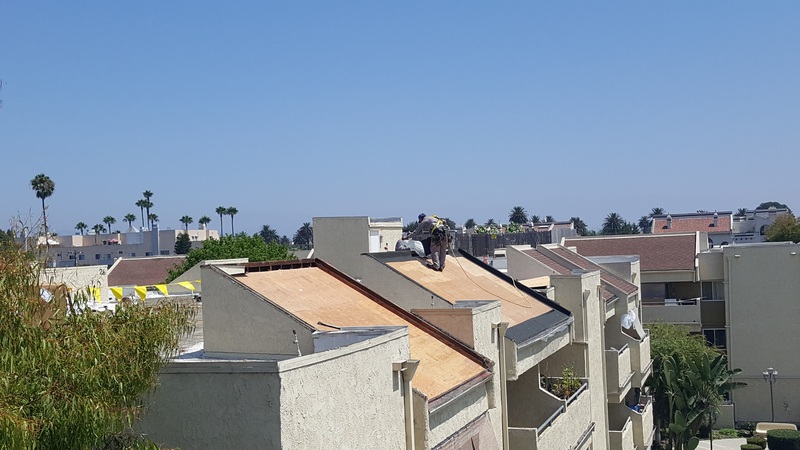 In the Culver City area, we know roofing and we understand the importance of providing quality and safety for your residents and properties. Contact us today to get an estimate and full inspection done.